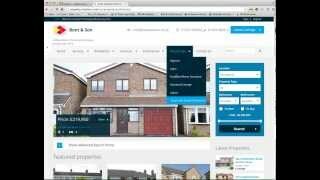 Written by cleartarn CMS on Feb. 20, 2013 in cleartarn Content Management System, Estate Agents Website System. The cleartarn CMS system (Content Management System) is a simple, easy to use, yet powerful way of creating and managing websites. The user interface is extremely powerful and simple to use and the ability to manipulate images and video allows you enormous control over your website content. The system has been written to enable seamless integration of a wide range of modules from news systems, video libraries, document downloading to blogs etc. The integrated Search Engine Optimisation capability gives complete control over the information provided to search engines to raise your website's profile. Search engines can also be automatically notified of changes to your pages, news or blog system content on a daily basis. The whole of this demonstration site is implemented within the cleartarn CMS system.